Why do some people do not seem to have any kind words in their system? This reminds me of a communication model I learnt when I was working in my KPMG days, the Transactional Analysis model. I used it for a training programme last year, but received feedback that we shouldn't be looking at or learning old and apparently obsolete tools and models. I now beg to differ. I learnt from Luc de Brabandere in his On Strategy: What Managers can Learn from Philosophers lectures that models are not right or wrong, and in this case if I can add, not old or new, it is whether they are useful. And I found this Transactional Analysis model quite useful in understanding and improving my communication with other people. I still only know the basics of it but it proposes that each of us would choose one ego state out of three whenever we speak to others. 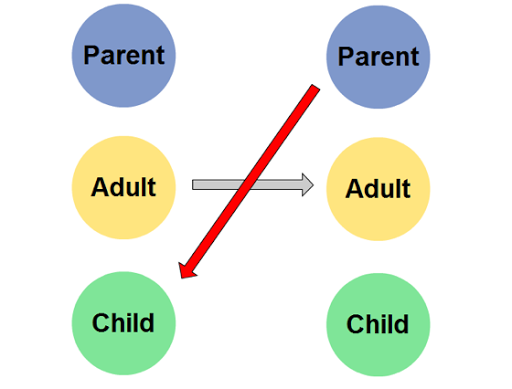 The ego states are Parent, Adult and Child, with the Parent and Child ego states taking a positive or negative form. The desirable state to be in for both parties in communication is the Adult one, where we speak in a matured state and communicate in the here and now. It is low in emotion and conscious of the needs of both parties to get things going with the least of friction. But I find it challenging when I speak to a person with me using the Adult ego state, which I usually try to, but he speaks to me instead with a negative Parent ego state. In this situation, there is a crossed transaction and communication is not taking place. So back to my question as to why some people do not have any kind words in their system, they must recognize the fact that they seem to always put themselves in the negative Parent ego state when they talk to others. They speak condescendingly and expect everyone to be in the positive or adaptive Child ego state, to hear and relent to their speech but not everyone would want to be in a Child state, much less a positive one. Is it a preconditioned thing that they always go to their negative state? Being mean, inconsiderate, not with understanding or kindness? Why can't everyone speak and listen maturely as an adult? That is the most efficient and effective way of communication. But alas, we humans are, most of all, self-centered.